The majority of voters across three important swing states support marijuana legalization, according to a Quinnipiac poll. However, it is not as if they would be smoking it, the poll showed, Just for the use by other people. The survey, which was conducted from March 17 to March 28 shows that 55% of Florida voters, 52% of Ohio voters and 51% of the voters in Pennsylvania support making it legal for adults to possess small quantities of marijuana for only personal use. Less than one fifth of voters in the same states said they would probably or definitely use the drug. The number in Ohio is the lowest, where only 14% of the voters said they would smoke marijuana if it were legalized, while that number is the highest across Florida where over 17% said they would smoke it. However, the poll indicates that legalizing marijuana for use medically is much less controversial. Large majorities of voters, of over 80% in all three states and as high as 88% for Pennsylvania, said that marijuana for medical purposes should be made legal. The findings for the survey come during a time when an increasing amount of U.S. states are looking into legalizing small portions of marijuana for medicinal purposes and in some places for recreational use. 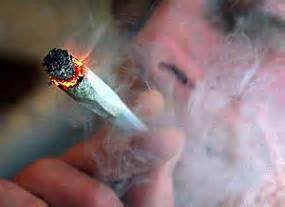 A few states, including Pennsylvania and Florida, have laws pending to legalize marijuana in 2015. A constitutional amendment in Florida seeking its legalization just lost last year on the ballot, but activists are preparing for another fight during this cycle. Swing start support to legalize marijuana has the possibility to turn into a big issue during the presidential race in 2016. The survey just completed in March was carried out amongst 1,088 voters in Florida, 1,078 in Ohio and 1,035 in Pennsylvania. It has a 3% margin of error in each of the three states.